How to Update the Effective Date of NovaBACKUP License - Details of an answer | Buffalo Inc.
Go to the http://www.novastor.com/en/upgrade website to update the effective date of NovaBACKUP license of an OP-LP-NOVA/PRO or OP-LP-NOVA/BE license pack. 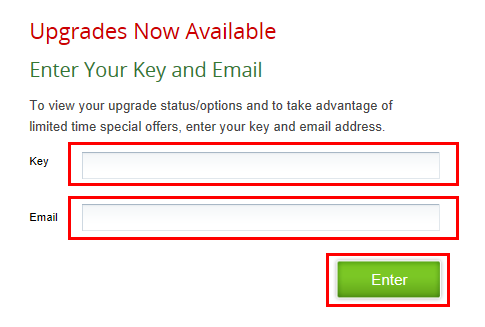 Enter the License key ("Key Code") from the sheet "NovaBACKUP License Pack GUIDE" and the email address, then click [Enter]. You will get new license key. To activate the license, see How to activate the license of NovaBACKUP.